Showing 36 articles from December 30, 2015. 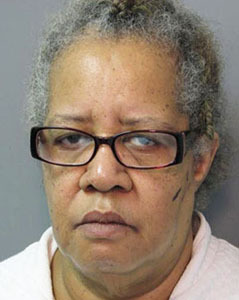 LOUISBURG -- The operator of an assisted living facility where a woman killed her roommate believes a lack of health care resources in the county contributed to the homicide. Franklin County sheriff's deputies charged Patricia Anne Marrow with first degree murder, alleging she stabbed Elouise Collier during the early morning hours of Dec. 29. CASTALIA -- Area authorities are investigating a homicide after finding the body of a Tarboro man in a Franklin County field. Franklin County Sheriff's Office Chief of Staff Terry Wright said the body of Anthony Bernard Howard, 28, was found in a wooded area in the 700 block of Rick Boone Road, just inside Franklin County the morning of Dec. 24. The body was found about 100 yards off the roadway and about 20 feet from a wood line. LOUISBURG -- The Franklin County Board of Health agreed to move forward with applying for a grant that would bolster a decade-old free clinic service. 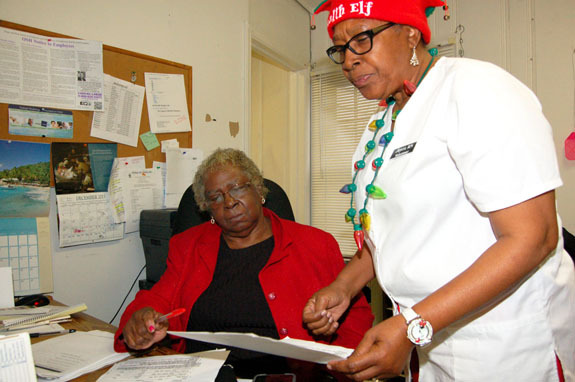 The Franklin County Volunteers in Medicine began operating its free clinic in Louisburg in 2005, serving as a medical home for the more than 8,000 uninsured and underinsured residents in Franklin County. Since its inception, the clinic has relied upon donations to operate, including those from the private sector. Dr. Jeroen Van den Hurk, an architectural historian hired by Franklin County to undertake a reconnaissance survey of the county's historic buildings, will report on his findings at a public meeting set for 7 p.m. Thursday, Jan. 7, at the Benson Chapel on the campus of Louisburg College. The presentation is free and open to the public. Dr. Van den Hurk conducted the survey during the spring and summer of 2015 under the supervision of Claudia Brown, branch supervisor and architectural survey coordinator within North Carolina's State Historic Preservation Office in the Department of Natural and Cultural Resources. Here it is, New Year's Eve and, by tradition, we're supposed to be looking ahead to a fresh, new year and making resolutions about what amazing things we'll accomplish in the coming 12 months. Forgive me, but I've never put much stock in new year's resolutions. Somehow, a few days or maybe hours into the new year, they get forgotten in the crush of everyday reality and forgotten. 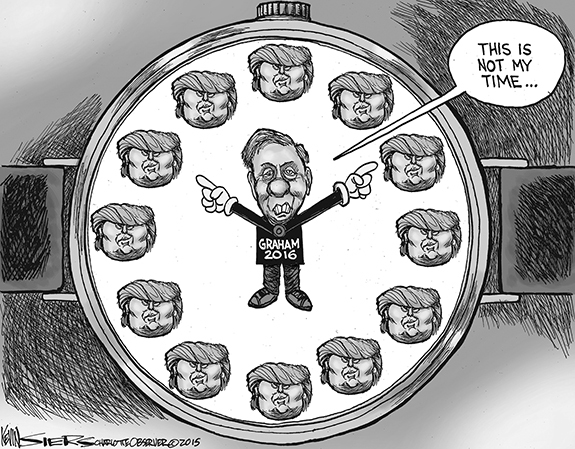 We're ending 2015 on an unusual note, a controversy wrapped in a lack of information. The issue came suddenly when the United Way Board of Directors decided to part ways with its executive director, Kathy Harrelson. The move came without advance warning (at least to anyone who is talking), did not appear to be on the agenda and has not been explained in significant detail since it was announced. I guess you could say North Carolina has hit the big times. Three of its cities/towns were recently noted for the festive ways they ring in the New Year. Two years ago, I wrote a column about Brasstown and its infamous Possum Drop that rings in a new year. They were first on the list of a national publication's roster of unique ways many places celebrate New Year's Eve. 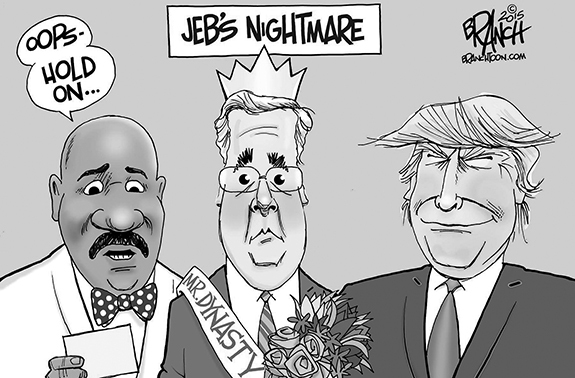 Nationally, the polls reflect most are not satisfied with the performance of many that were elected. When you get into the weeds, you find many of them have been there for years, some of them decades. If the past is any indication of what will happen in the future, expect most of them to remain there. Well, 2016 is all but upon us. 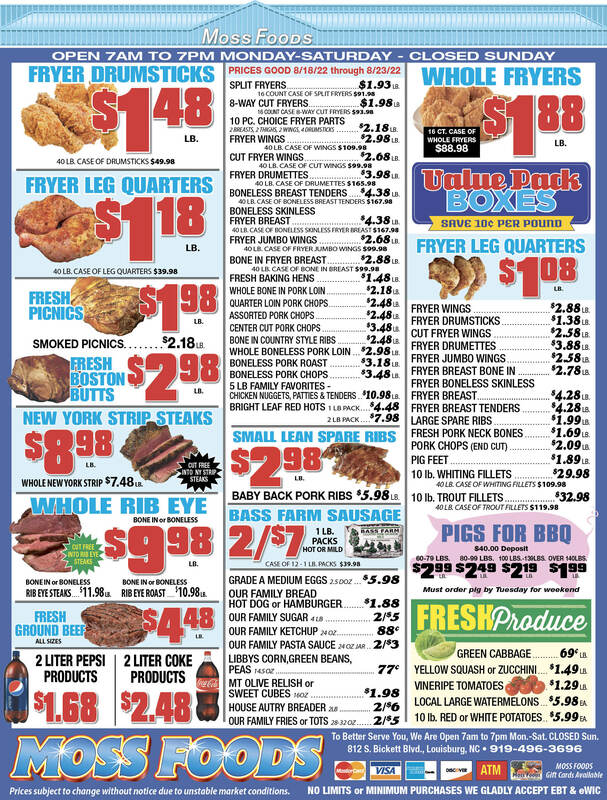 In fact, if you're a little late in reading the paper, it is here already. Below, I've listed some New Year's wishes. Dr. Pascal Mubenga: Simply good luck and best wishes! Running a public school district is never easy, and a hostile General Assembly majority, who seems determined to divert funds while not hitting deadlines, certainly doesn't make a difficult task any easier. We just moved here this summer and feel we have been welcomed with open arms. Everyone has been so very nice to us. They don't even know you and they speak to you. Because of my husband's job, we have lived from California to Apex, North Carolina. LOUISBURG - Albert "Dennis" Gilliam, 69, of Louisburg died Tuesday, December 29, 2015, at his home. Born on May 31, 1946 to the late Floyd and Edith Dennis Gilliam. He loved his family and was especially proud of his grandchildren. He was compassionate, a hard worker and would help anyone. He was always ready with a joke or a word of encouragement. LOUISBURG - Funeral services for Elouise Hawkins Collier, 88, who died Tuesday, Dec. 29, will be held 2 p.m. Sunday, Jan. 3, at Hickory Grove Baptist Church in Castalia with the Rev. Bobby Thomas officiating. FRANKLINTON -- Richard Thomas Justice, 81, of Franklinton, died Tuesday, December 29, 2015, at his home. Born on September 13, 1934 to the late Jasper Lee and Dessie Veigh Beck Justice. A retired major from the Raleigh Police Department, and a deacon of Perry's Chapel Baptist Church. 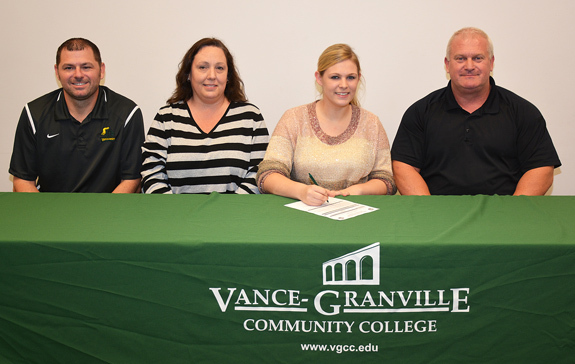 FRANKLINTON -- After moving to the area two years ago from Michigan, it didn't take long for Vance-Granville Community College volleyball coach Christopher Young to realize that his own backyard -- including Franklin County -- had the potential to be a fertile recruiting area. 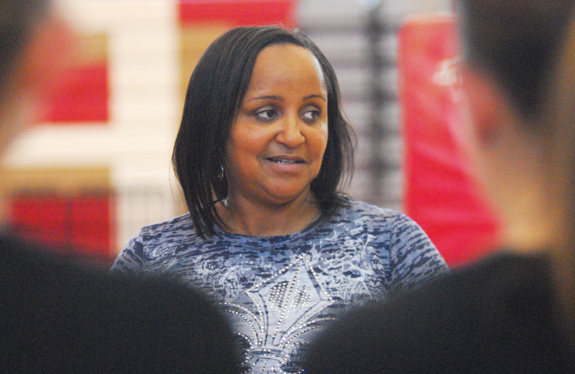 "This is definitely a good place for volleyball,'' Young said. "When I first came in here, I would talk to some of the (high school) coaches, and they would tell me that they had never seen or heard from a Vance-Granville coach. TO THE BUCKET. 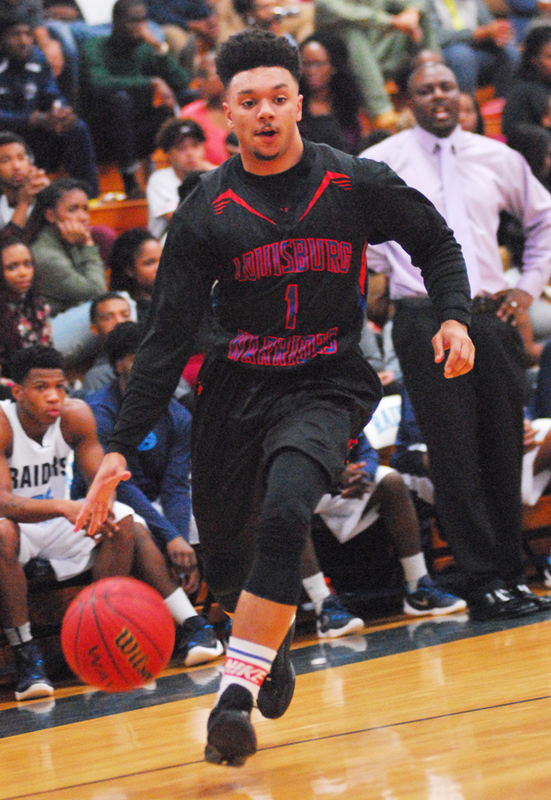 Louisburg's Kenan Epps drives for two points during Tuesday's tournament setback against the Southern Vance Runnin' Raiders. HENDERSON - Louisburg High School's best laid plans didn't necessarily come to fruition during Tuesday's meeting with Southern Vance in the opening round of the Southern Vance Basketball Tournament. Intent on neutralizing SV's Justus Baldwin, the Warriors employed a box-and-one defense, with a Louisburg player following Baldwin all the way around the court at the SVHS Gymnasium. FRANKLIN COUNTY -- After losing standout Lizzy Tuton to a knee injury in the preseason, Franklinton High School's volleyball prospects seemed to be in doubt for the 2015 campaign. But the Lady Rams ended up finishing second in the competitive Northern Carolina Conference and ended up reaching the second round of the Class 2-A State Playoffs -- a surge that featured a heart-stopping victory over rival Bunn in the opening round. 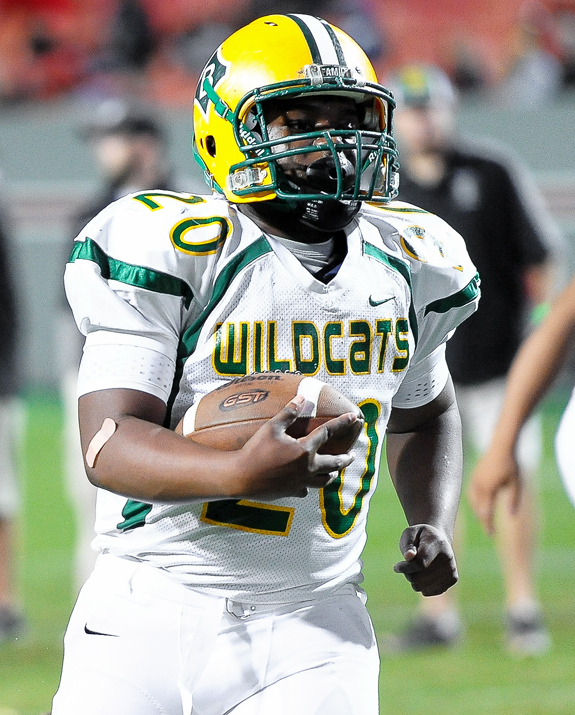 PAST THE DEFENSE. 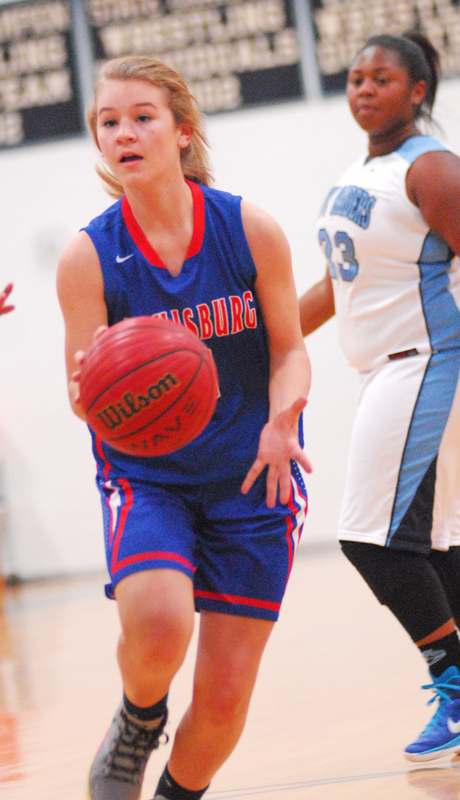 Louisburg freshman Taylor Ferguson drives into the paint during Tuesday's tournament defeat against Southern Vance in Henderson. 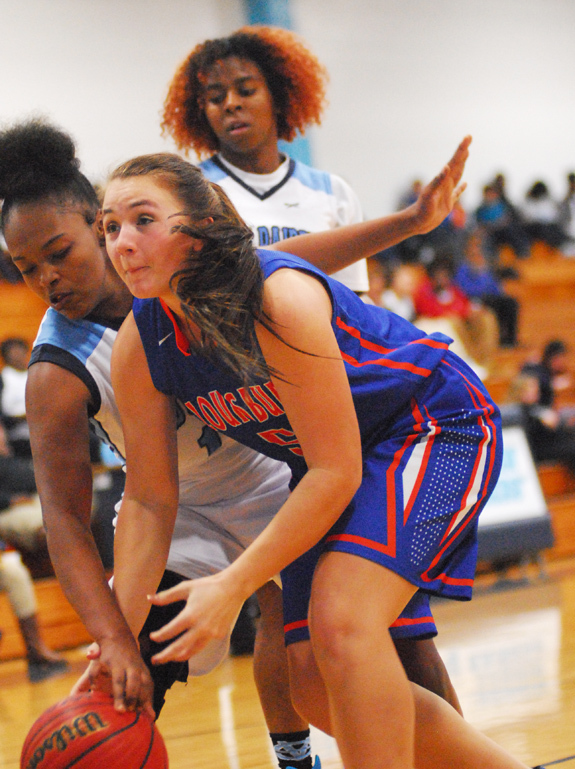 HENDERSON -- After being competitive with Southern Vance for three quarters during an earlier-season meeting, the Louisburg Lady Warriors entered the rematch Tuesday with high hopes as part of the annual Southern Vance Christmas Tournament. But a solid showing wasn't meant to be as the Lady Runnin' Raiders ended the suspense early en route to gaining a 44-23 decision over Louisburg in the first round of the event at the SVHS Gymnasium. BUNN -- The third-quarter blues struck again Tuesday night for the Bunn High School boys basketball squad. Taking on Corinth Holders in the opening round of the Bunn Christmas Tournament, the Wildcats stayed close with a solid Pirates' contingent until CHHS gained some space with a solid third stanza en route to securing a 57-52 decision at the Bunn Dome. Corinth Holders, guided by former Louisburg High School skipper Chris Davis, outscored the Wildcats 11-5 as part of the decisive third period of action. CHAPEL HILL -- Wells Fargo, along with the North Carolina High School Athletic Association, has announced the standings for fall sports in the Wells Fargo Cup competitions for the 2014-15 academic year. The award recognizes the high schools that achieve the best overall interscholastic athletic performance within each of the state's four competitive classifications. The Cup program is in its 37th year. RALEIGH -- The 66th Annual Raleigh Hot Stove League Banquet is slated for January 26 at the McKimmon Center on the campus of North Carolina State University. A silent auction will be held at 5:15 p.m., followed by dinner at 6 p.m.
Special guests include Tampa Bay Rays manager Kevin Cash and Pat O'Conner, the President of Minor League Baseball. LOUISBURG -- Another successful season for the Louisburg High School boys soccer squad has been rewarded with a trio of spots on the All-Tar-Roanoke Athletic Conference Team. The Warriors, coached by Chris Cannady, took second place overall in the TRAC and reached the second round of the Class 2-A Boys Soccer State Playoffs. For Louisburg, one of the main highlights of the campaign was a thrilling 6-5 decision over Lejeune in the opening round of the postseason at Joyner Park. FRANKLIN COUNTY -- Louisburg's Jaden Reams was among the honorees from the Tar-Roanoke Athletic Conference's fall cross country campaign under veteran coach Greg Mondin. Reams won the TRAC Boys Championship and was saluted as the Conference Boys Runner of the Year. 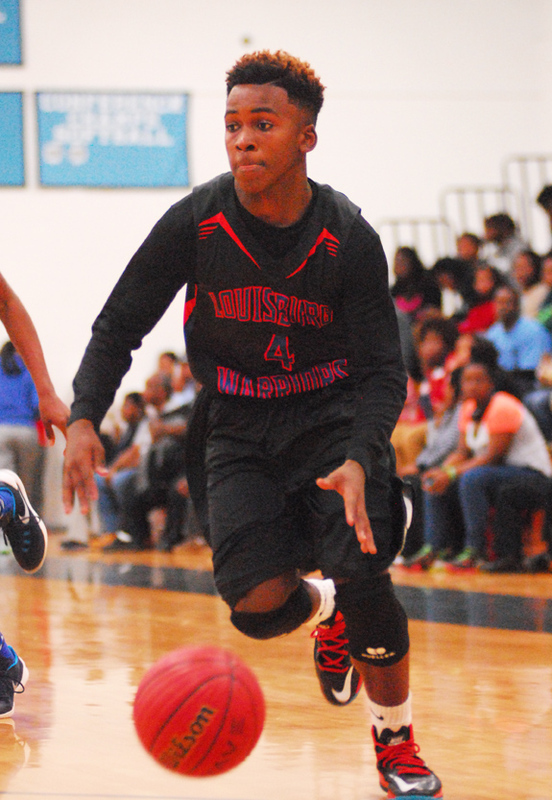 Louisburg's Quamon Person makes a strong move to the basket during Tuesday night's tournament showdown against the Southern Vance Runnin' Raiders. Louisburg's Summer Phillips (right) tries to gain possession in traffic for the Lady Warriors during Tuesday's tournament contest against Southern Vance in Henderson. 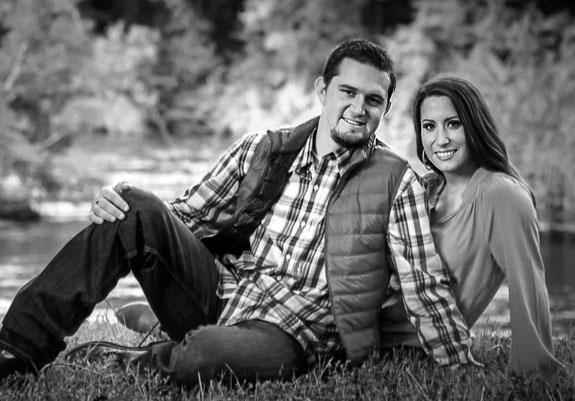 Mr. and Mrs. Al Peoples of Louisburg announce the engagement of their daughter, Sarah Strother Peoples of Louisburg, to Zachary Ryan Isles of Nashville, son of Mr. and Mrs. Michael Isles of Roanoke Rapids. The wedding will take place on May 14, 2016. LOUISBURG -- Louisburg College released the Dean's List for fall 2015. The following students made the list: Taylor Broughton, Ivan Cockman, Sarah Heston, Luciana Perez-Flores, Phoenix Spivey, Stephanie Valencia, Maribel Villa Rivera, Allen Wang, and Colton Young, all of Louisburg; Jesslyn Bader, and Haeli Dove, both of Youngsville, Bowen Lester of Bunn, Tyler Miller, Kathryn O'Leary, and Krista Strain, all of Franklinton. 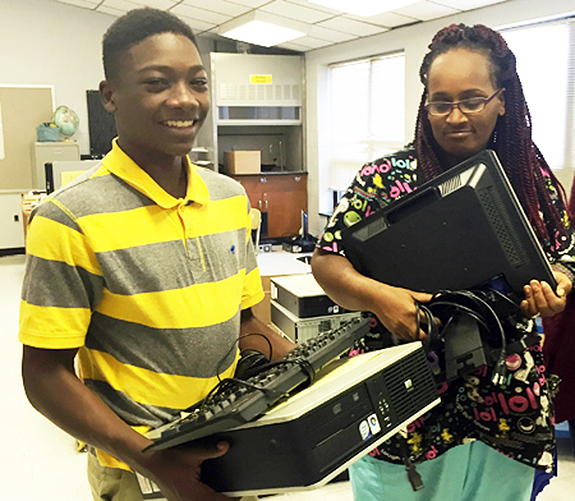 Students from Terrell Lane Middle School, 65 of them, will now be able to complete school work at home, on their own computer, thanks to an area organization that provides technology access to students in need throughout North Carolina. The Durham-based Kramden Institute works to bridge the technology gap many students experience who may not have regular access to computers and other devices outside of the classroom. ALL SMILES. 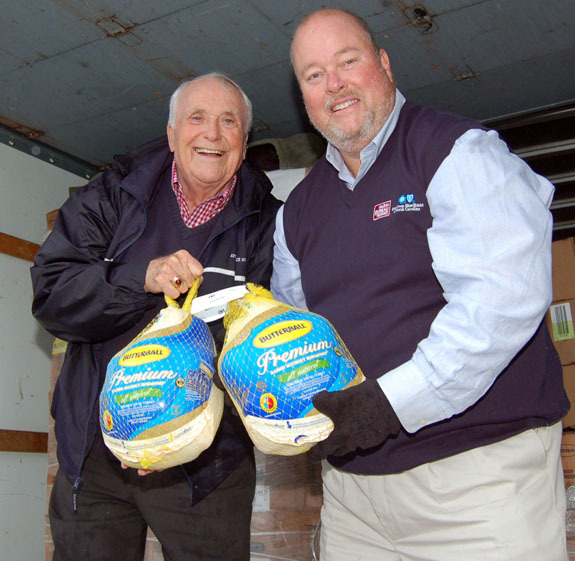 Carroll Joyner (left) and Wayne Champion help unload Butterball turkey that were donated this holiday season to area families. YOUNGSVILLE -- Organizers and volunteers doled out 600 butterball turkeys recently, helping make the holiday season better for families in need. A group of businesses and individuals, organized by Youngsville businessman E. Carroll Joyner, began donating Butterball turkeys to those in need six years ago, providing 150 of the birds to pantries who handed them out to families across Franklin County. 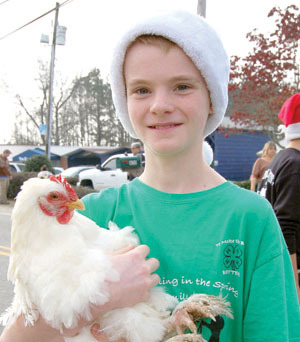 This year, the group provided 400 percent more turkeys than the first go 'round. 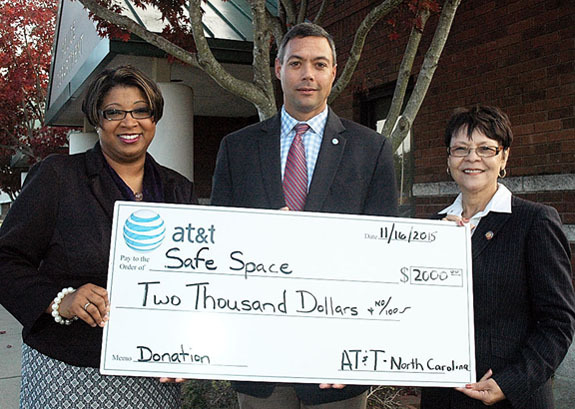 AT&T Regional Director for External Affairs Robert Doreauk was joined by State Rep. Bobbie Richardson, right, in presenting Safe Space Executive Director Monica Kearney with a $2,000 contribution to Safe Space. "Feeling safe in one's own home, with an intimate partner, is something most people take for granted," Richardson said. "But for victims of domestic violence, it feels like an impossible dream. White it is a tragedy that we need organizations like Safe Space, I am so thankful for the staff and volunteers who give so much to serve victims in our community." FRANKLINTON -- Police arrested four teenagers they allege took a Franklinton Middle School bus for a joyride. Bus No. 198 was not damaged, authorities said. Investigators allege Taquom Jones, 17, of Lane Store Road, Shaun J. Henderson, 16, of Mill Street, and two juveniles took the bus from the Franklinton Middle School parking lot the evening of Dec. 21. YOUNGSVILLE -- Police arrested a Henderson man accused of exposing himself at a convenience store. According to a report by Officer S. Zuniga, a woman told police she was pumping gas at the Sheetz on U.S. 1 th evening of Dec. 23 when a man, later identified as Martrel A. Hargrove, went around to the front of his car -- in view of the woman -- and exposed himself. The woman went into the store to call 911. 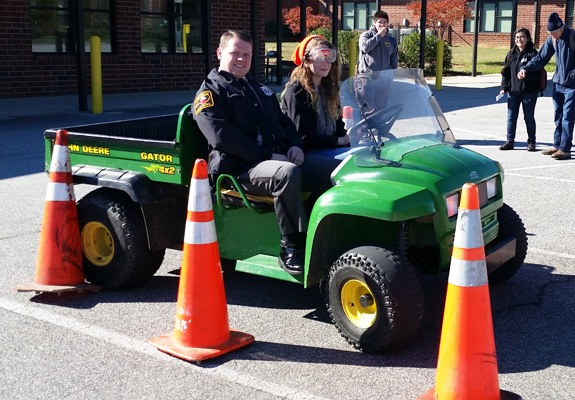 BUNN -- A Bunn High School anti-violence student group has received a grant to help continue its efforts. Students Against Violence Everywhere (SAVE) is a national nonprofit group with chapters across the country, including one at Bunn High School. The Bunn group has taken on a number of initiatives in its history, including fundraising efforts for Safe Space, a group that works to abolish domestic violence, and has worked to aid battered animals, also. Earl Hoffman, left, and Curtis O'Neal with Oak Level Christian Church pack donated turkeys into the back of a truck. 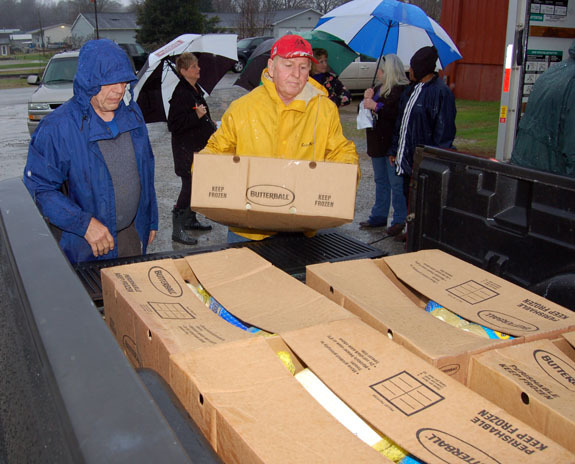 The food was donated through the Feeding Franklin effort to pantries across the county.